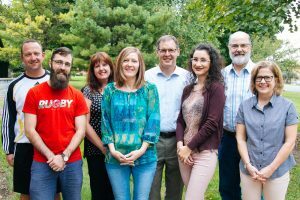 A veritable “Who’s Who” of executive leadership assembles each year to aid graduate students in Eastern Mennonite University’s MA in Organizational Leadership (MAOL) program as they expand their management and empowerment capacities in a two-unit mentorship class. The MAOL program, designed for working mid-career professions, provides skills and training in conflict transformation, decision-making and strategic planning, individual and team leadership, financial management and mentoring. 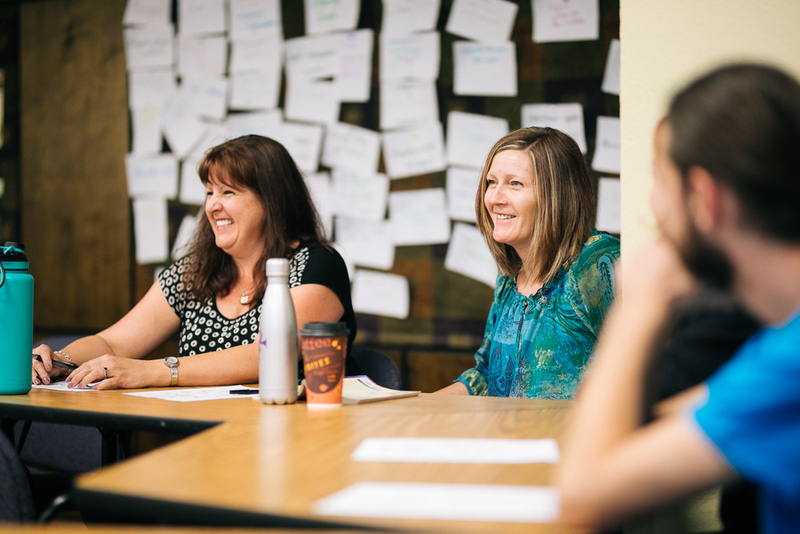 In the mentorship course, mentors and mentees use readings, DiSC and Enneagram activities to explore personality traits, and discuss concepts of leadership through personal stories and reflection on topics such as self-management, authenticity, experience, emotional response, and life balance. Additionally, the student participates in a 360-degree review to assess personal leadership strengths and areas for improvement through a confidential survey of supervisors, co-workers and those s/he supervises. Over both semesters, the course involves combined classroom sessions and several one-on-one meetings. Tammy Torres, assistant director at the nonprofit social services agency Empowerhouse, in Fredericksburg, Va.
Anders and Miller served on the MAOL curriculum advisory council with Sue Cockley, a specialist in adult education who was the program’s first director. 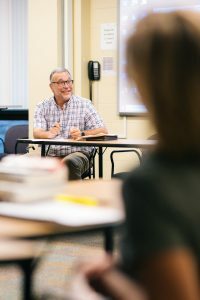 Now dean of EMU’s graduate school and Eastern Mennonite Seminary, Cockley notes that leadership development has strong similarities to spiritual formation, widely recognized as one of the seminary’s unique curricular foci. Guest speaker Marshall Yoder discusses an Enneagram activity in class. Yoder, an attorney and expert in alternate dispute resolution, is a 2010 graduate of EMU’s Center for Justice and Peacebuilding. Continued learning is key to Miller’s involvement. He’s mentored four students through the program, “and learned from all of them.” After more than 40 years in leadership, he enjoys passing on lessons learned and working with his mentees through current issues in their lives by offering “possible solutions or alternatives based on my experiences.” And the discussions sometimes revive forgotten principles of leadership or lead to the exploration of new ones.